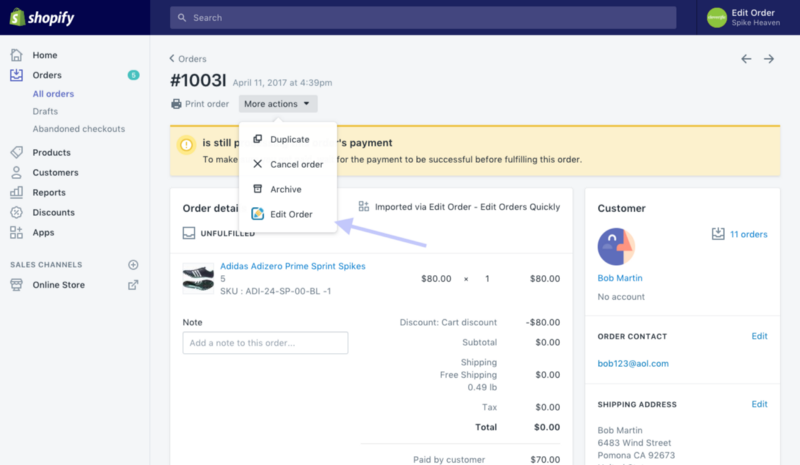 Edit an order to add or remove products, process exchanges, update shipping information and more. Open the order you wish to edit. Click More Actions and then click Edit Order from the dropdown menu. If you do not see Edit Order, you may need to scroll within the More Actions menu until the option appears. 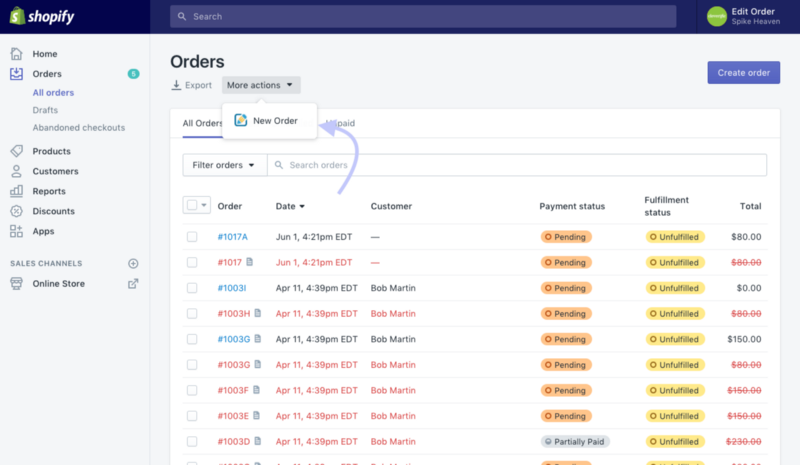 Creating new orders using Edit Order allows to create special orders over the phone, assign those orders to existing customers, enter new customer details, and plenty more! From the Orders page, click More Actions and then click New Order. If you do not see New Order, you may need to scroll within the More Actions menu until the option appears. For additional assistance or info more written and video tutorials can be found here .